Please close, issue still not resolved. Last edited by stevenstixx; 08-25-2013 at 05:14 AM. It's possible that it's the same code and it's just flashing at different speeds on the different ECUs. That video you sent me could actually be a 1 instead of 10 but your ECU might just be flashing it slow and the LS ECU might be flashing it at the correct speed.... Something to think about. That kind of rings a bell in my head. The VX has a really strange O2 sensor that the other engines don't use, which is probably why a change in wiring is needed. Sounds promising though. Well I really appreciate all of your help and input! Have you tested for power at the O2 sensor? What about continuity? The ls ecu is programmed to read different then the gsr ecu. 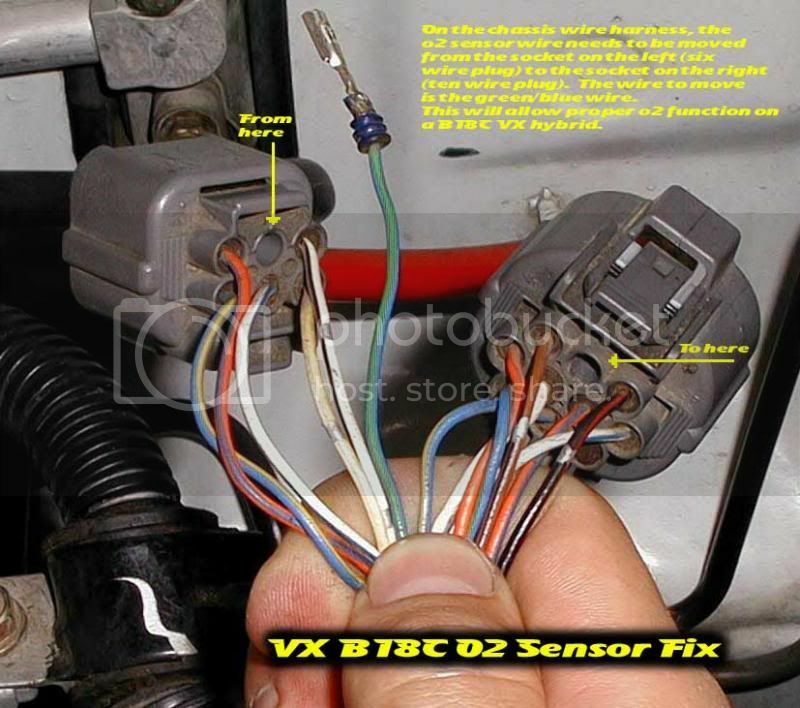 Measure the resistance on the O2 sensor and post here on what you find. You can have anything from a loose wire to a short somewhere. I know you mentioned you replaced the harness. Just because its a different engine harness, does not mean its good. Well the first time I received the code, I replaced the 02. Then after the code came back, I had Khent hook up his comp at honda. The 02 was reading 3.82 Volts steady and staying in Open Loop. It would not go into closed loop mode. Then I pulled out my engine harness where it appeared someone did a real nice hack job from converting to a 4 pin from a 5. The car acts like it wants to run rich on occasion and the check engine light comes on everyday like clock work! I had no clue about the ECU difference! Thanks for that! The O2 code has to becoming on because of something else. If your spark isn't right that could cause code 1, or you're not using good gas, maybe filter is old, you get what I'm saying. I don't know what you've done to the car or what someone else did, but this could easily be caused by lack of routine maintenance. With the O2 sensor, I leaned in aut166, if you're running lean the voltage should be closer to 0 volt, and if it's rich then it's should be closer to 1 volt. But that doesn't really matter if you can find a problem. I would recommend looking into spark and fuel. I'd also look for the range of your O2 so you can know what that 3 volt reading means. FS: 1994 Honda civic VX, White and Cheap!